This week marks one year since we opened Tampa Hackerspace. It's a great time to take another look at other makerspace / hackerspace groups and efforts I know of in the Tampa Bay area. 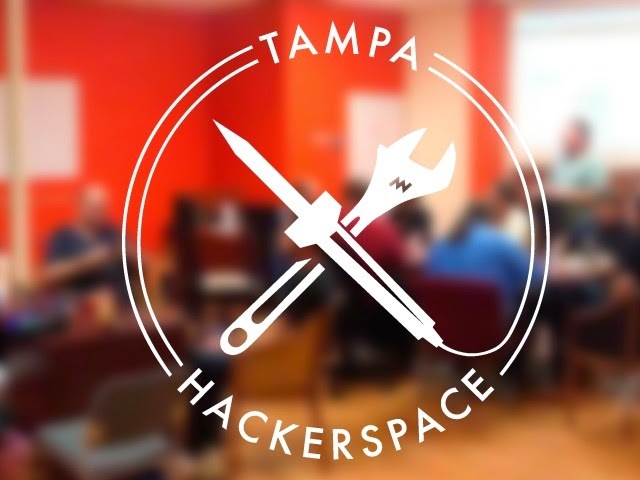 The one I'm most excited about is Tampa Hackerspace, since I've been a part of it. We incorporated as Inspiration Labs in April 2013, had a lot of meetings, appointed a board, approved bylaws, did some team-building projects together, grew our community, and looked at a lot of real estate leads throughout the spring and summer. Finally in August 2013 we had a great opportunity to move into some space leased by CoWork Tampa. We got enough people together to join as members and we started paying rent there. We've grown consistently since then and have steadily turned into a fledgling hackerspace. We ran a successful $16,000 Kickstarter fundraising campaign and have raised over $24,000 more through grants. We've purchased some equipment and lots more is just waiting on grant processing and the purchasing process. In June 2014 we moved to a new 4,000 square foot location near Westshore / Tampa Airport). We've now grown to over 50 paying members and hundreds have taken at least one of our classes. Not a bad start. We keep growing our equipment but currently have three 3D printers, two Shapeoko CNC mills, a decent soldering/desoldering/rework electronics bench, a woodshop, welder, small vacuum former, sewing gear, and more. We're getting close to acquiring a laser engraver / cutter, which will be a big step. Update: Our laser cutter / engraver is now installed and running. We run a pretty busy schedule of events and quite a few classes that are open to everyone - member or not. We run two "Open Make" open houses a week - Tuesday evenings and a special kids one most Sundays. Everything is scheduled through Meetup. USF X-Labs is in a bit of a transition right now. I wish I knew more but my understanding is that they finally have a larger space on campus and some real backing to really grow into a campus makerspace. They've done some great projects and education already so I'm pretty excited to see them expand. The Seminole Community Library at the Seminole campus of St. Petersburg College now has a small but nicely equipped makerspace. My understanding is that it's open to SPC students and non-students with a Pinellas library card. Pinellas Hack Shack is a small but active space in Pinellas Park. They have a great mix of Linux/software hacking, especially to benefit charitable organizations and physical projects like woodworking. MOSI's FabLAB is still around and has a good set of gear available to members, including a laser cutter/engraver, 3D printers, a small plastic injection molding machine, a small CNC mill, a small wood shop, vinyl cutter, and embroidery machine. They offer classes for kids and adults. They are generally open from roughly 10-5 or 10-6 seven days a week, though they currently are open on Tuesday evenings for an "Open Make Night". The big news throughout the past year has been the Community Innovation Center (CIC), which was a collaboration between the John F. Germany Library in downtown Tampa and the non-profit Learning is for Everyone. After several delays, this finally fell apart in June 2014. The library space does live on as The Hive though and Learning is for Everyone has stated that they intend to still open a Community Innovation Center outside of the library. The Hive is the new name for the John F. Germany Library makerspace. The CIC plan was for a 10,000 square foot facility with roughly a third of that set aside for makerspace-style workshops and the rest used for robotics center, meeting rooms, etc. I'm not certain if some of that plan will change going forward. They do have a video suite, I believe with cameras, editing gear, and a green screen wall. They also have I believe two MakerBot Replicator 3D printers which will hopefully become available for use soon. The last word I got was that the space is expected to officially open in October 2014. Update: They had their grand opening Nov 15, 2014 and are now open. In addition to the two MakerBot Replicators, they also have a Shapeoko 2 CNC. St. Pete Makers is a growing group that is starting a makerspace in downtown St. Petersburg. Tampa Hackerspace helped give this a little push to get rolling but it's got some good momentum now. We're really hopeful that they can open a space in the next several months. They've been through a rough journey but are back on track. The G.Wiz museum in Sarasota finally closed for good. All of the Fab Lab equipment was auctioned off but the Faulhaber family apparently repurchased most of their donations at auction and they will go back into a new makerspace in Sarasota at the Sarasota Science Center. The unusual NakedMake in Land O Lakes is actually a fairly well-equipped space but hasn't really drawn a lot of people. I've heard (unconfirmed) that it is closing. The Roosevelt 2.0 closed in 2013 and hasn't reappeared as far as I know. 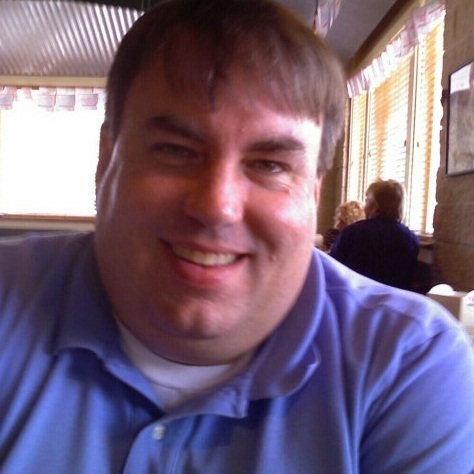 An effort to organize a makerspace in Hernando seems to have stalled. This effort to start a makerspace in New Port Richey seems to have died out though I keep hearing from people with interest in one.